Mel Brooks' monster hit is bringing audiences to life. Please note that this production contains mild adult themes and humour. Valid ALL Monday - Thursday performances until the end of the run. 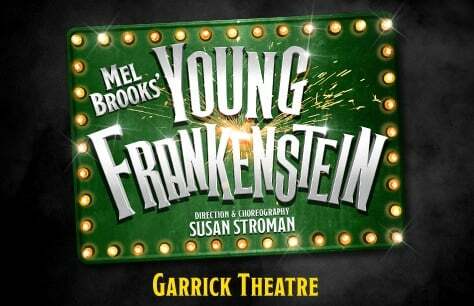 Absolutely loved the show really funny, Garrick Theatre well organsised and helpful friendly staff. Thank you for a pleasant evening. Excellent performance, brilliant acting by all the cast, would highly recommend.